Vale Vets is a locally run business dedicated to providing first class veterinary services to clients throughout West Norwood area for over 25 years. To make sure that your pets get the very best care available our professional team are dedicated to offering expert healthcare advice and assistance wherever possible. We understand how pets can often feel like a member of the family, which is why it is important that your cherished pets get the assistance they need in order to get the most out of life. Vale Vets on Streatham Vale is one of the nearest vets to West Norwood. With the closure of Greyhound Lane Railway Bridge, the Vale should now be accessed via Glencairn Rd off Streatham High Road. Continue under the railway bridge and turn right onto Sherwood Avenue. The new yellow lines and one way streets mean it’s quicker to get to Streatham Vale than it used to be. Vale Vets also benefits from excellent free on street parking outside the surgery (avoid the zebra crossing zigzags), on Woodmansterne Road, or to the side on Farmhouse Road – approached via Abercairn and Granton Rds. We also cover areas near Norwood such as Balham and Dulwich, you can find details on getting to the clinic from your home town on the relevant pages. We care about the health of your pet, which is why we provide expert support right from the start. With vaccinations for young puppies and kittens we offer expert advice as to how to care for your new puppy or kitten and also offer regular checkups for even small animals. 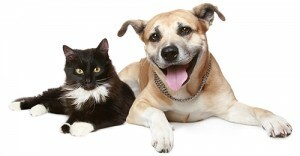 Why not sign up for our comprehensive pet care plan? Our pet care plan includes health checks, kennel cough vaccinations, a year’s supply of flea treatment and more for a set price per month. The pet care plan is available for cats, dogs and even rabbits plus you’ll also be eligible for a 10% discount off everything else. For a full list and information regarding the services we provide to all clients, please visit our services page. As a team we are passionate about making a real difference in our clients’ lives. By focusing on building lasting relationships with our clients and their pets we are able to gain a deeper understanding as to their individual needs and requirements. Many of our clients are lifelong clients and our dedication to their healthy reflects in the positive testimonials we receive about our service. Dave Salisbury Jones has been working at Vale Vets for the last 25 years and has treated several generations of West Norwood’s pets. With a passion for ensuring that pets stay as fit and healthy as possible, our professional team take pride in the level of service we offer to all our clients. facility on Streatham High Road in addition to the main surgery so that we may provide healthcare and emergency services to clients around the clock, whenever they need them. The main surgery was fully renovated and redeveloped in 2006 in order to make Vale Vets a more pleasant experience for pets and their owners. The aim was to create more space for consulting and reception rooms as well as installing air conditioning, making it more comfortable for everyone during the warm weather. If you are looking for vets in West Norwood but require a pleasant, friendly and approachable practice – contact Vale Vets today. Whether you are looking for information as to how to properly vaccinate your new puppy, you would like to find out more about our pet care insurance service, or if you are simply popping round for a check up, we will be more than happy to help. With over 25 years professional experience offering expert pet care and advice to clients throughout the West Norwood area, call us on 0208 679 6969 and talk to our expert team today to find out more. You can also email us at info@valevets.com where we will get back to you as soon as possible. We look forward to hearing from you.